NUFC reporter reveals what he’s heard from West Brom about Salomon Rondon deal – NUFC blog – Newcastle United blog – NUFC Fixtures, News and Forum. 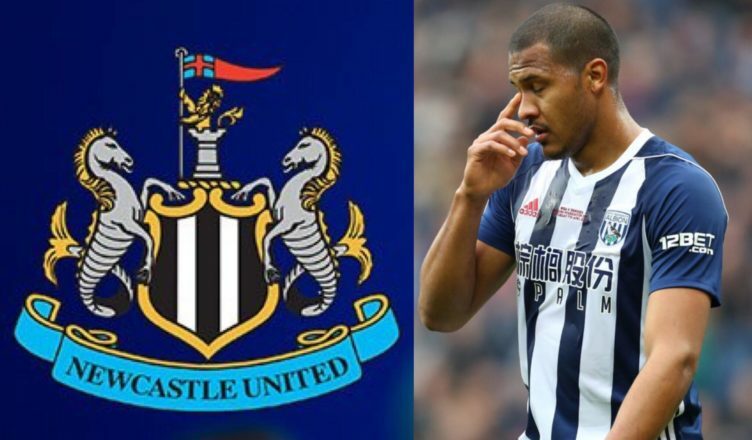 According to Mark Douglas, sources at West Brom believe there’ll need to be a ‘big change’ in approach at Newcastle if we’re to sign Salomon Rondon on a permanent deal this summer. The Chronicle reporter reveals that the club made it ‘clear’ to West Brom last year that we had no intention of signing the Venezuelan on a permanent deal – with Ashley unwilling to sanction a ‘major spend on a player nearing 30’. As a result, it seems those in the Midlands believe there’ll have to be a big shift in approach at our end if we’re to sign the 29-year-old on a permanent deal this summer – despite the fact he’s hit an impressive 10 goals and 5 assists in 25 starts this season. ‘Salomon Rondon is desperate to turn his Newcastle loan into a permanent move . But word from West Brom is that there’ll need to be a big change in policy at United to make it happen. ‘Last summer the club were clear with West Brom from the outset that there would be no permanent move for Rondon and enquiries were always about a loan. Digging deeper it was made clear that the owner would not sanction a major spend on a player nearing 30. It was clear last summer that Ashley wasn’t keen to sign Rondon on a permanent deal – with us agreeing a loan deal despite a £16.5m release clause being active after the Baggies’ relegation – however his form this season makes you hope he’ll have changed his mind. Any rational owner may agree to a compromise and accept that the signing of a Premier League proven striker getting into double figures represents brilliant value at £16m – but Ashley’s stubbornness knows no bounds. For the sake of both Benitez and Rondon himself, let’s hope Ashley sees sense and agrees to go against his tedious transfer policy to secure Rondon permanently. Mike Ashley set to make ‘£61m bid’ – More of NUFC’s end of season cash down the drain? Notice fatty allways bids for other companys when our end of season winnings are available…..?